Graphics and fonts by Erin Bradley, Jen Jones, and KG Fonts. 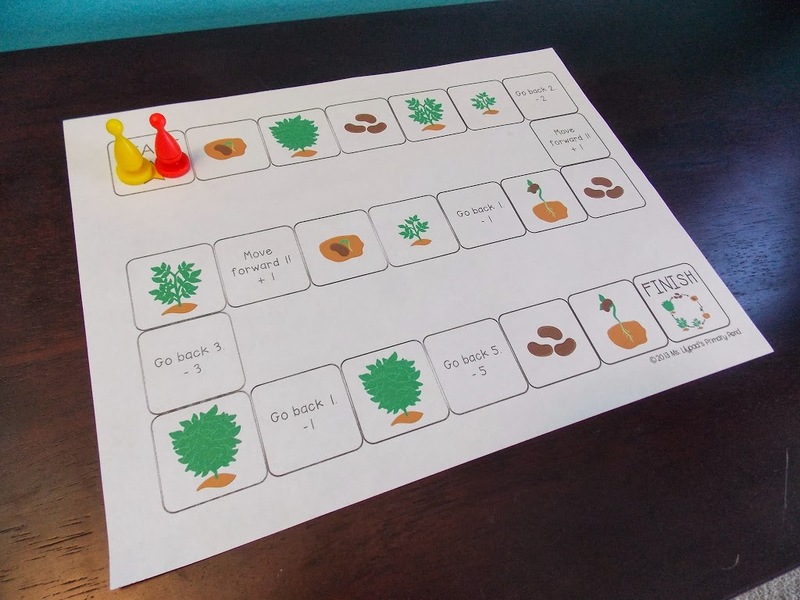 – For a sequencing game that has kids practice ordering the stages in the plant life cycle, click HERE. 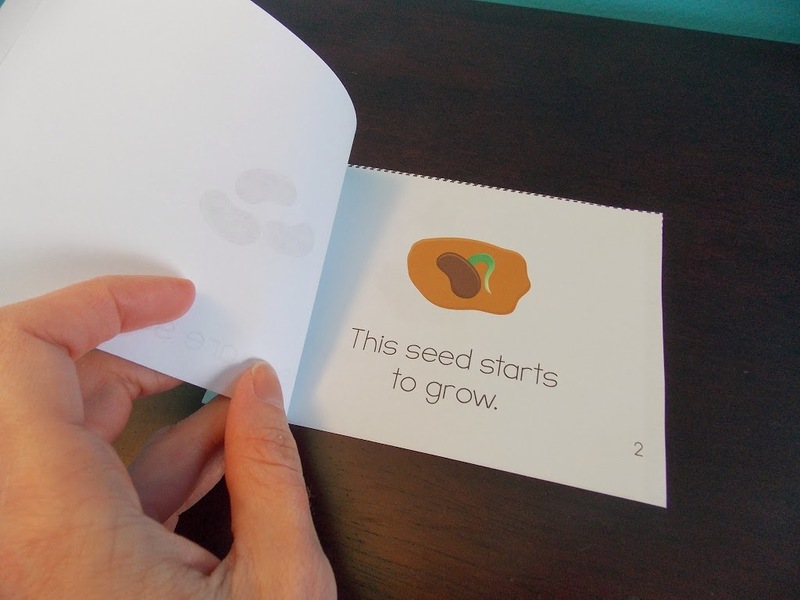 – For a time lapse video of a seed sprouting (pretty cool! ), click HERE. – For a little video about planting seeds (animated), click HERE. 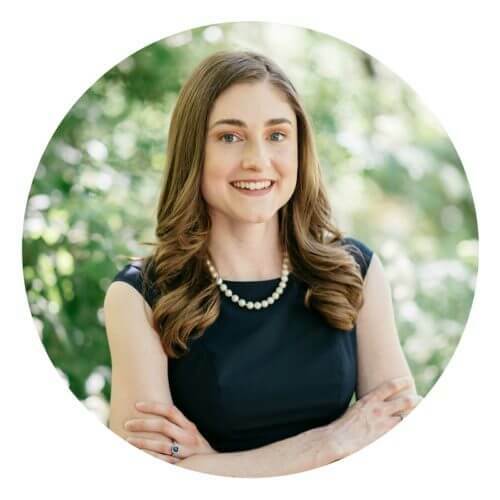 – For a Dr. Jean song about the parts of a plant, click HERE. 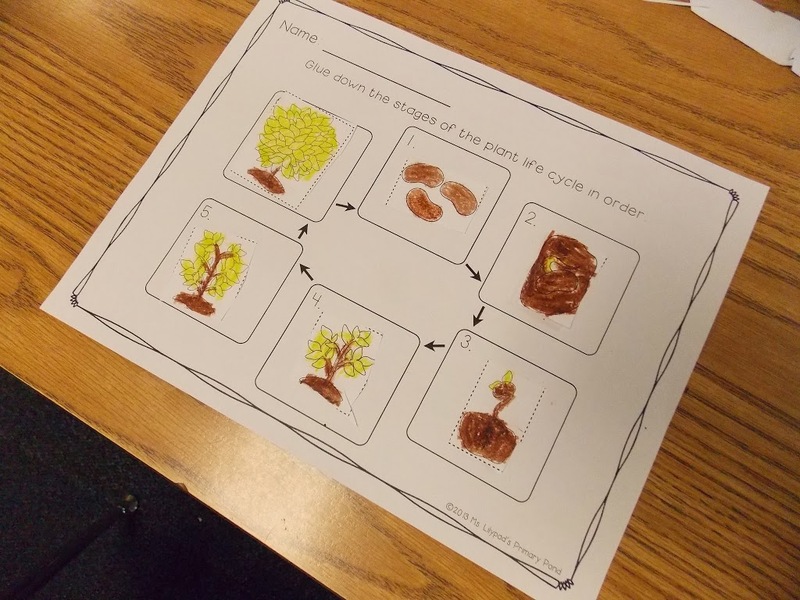 – For a collection of activities for teachers and kids from PBS (with some great videos! ), click HERE. 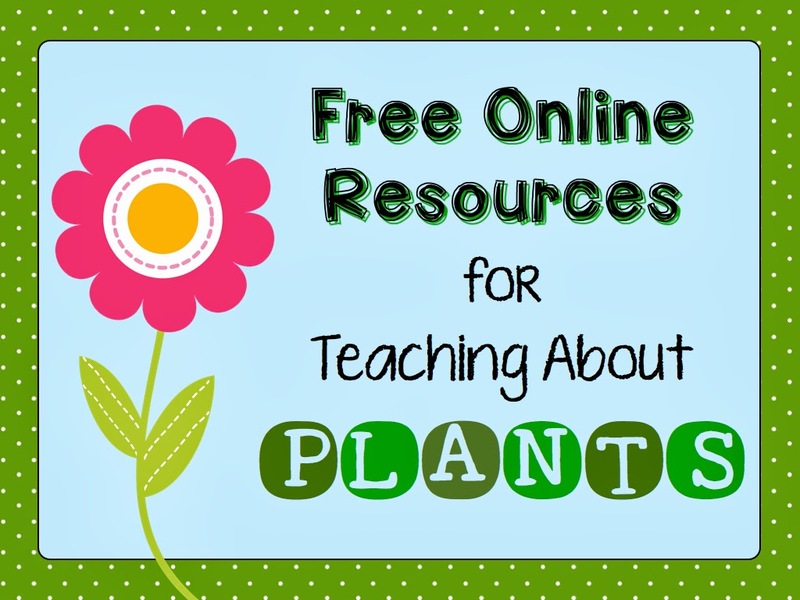 – For plant-themed lesson plans and materials for teachers, click HERE. If you have any other favorite links, please leave a comment! 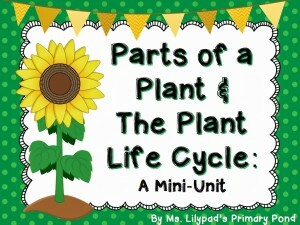 And if you’re interested in a complete unit on the life cycle of a plant, click on the picture below. 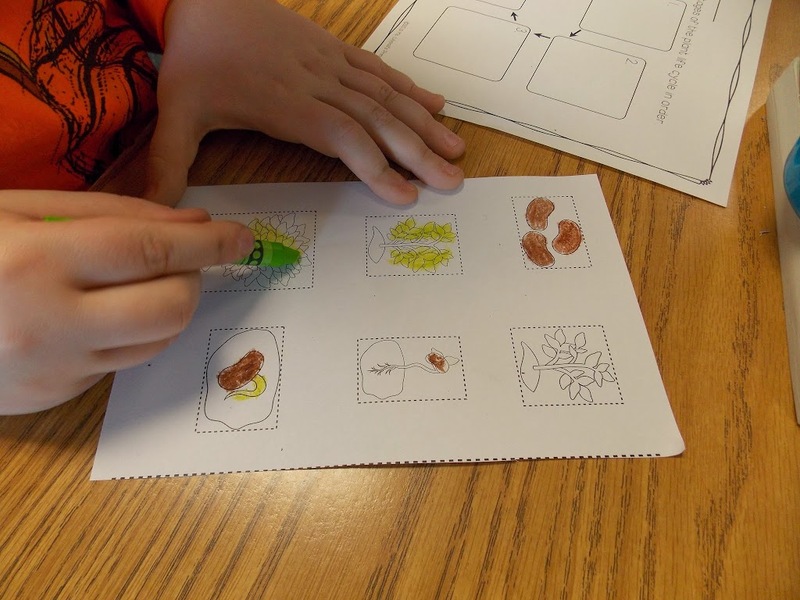 In addition to lesson plans and no-prep printables, the unit has extra goodies like leveled books (at a PreK-1st grade level), observation journals (if students are growing their own plants), and materials for plant-themed centers. 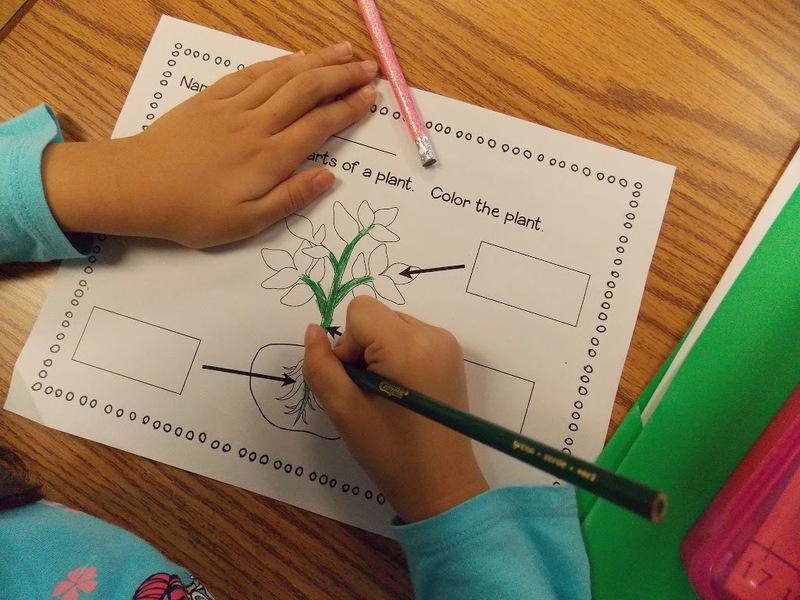 Do you have any other great plant-themed teaching resources to share? Comment below!